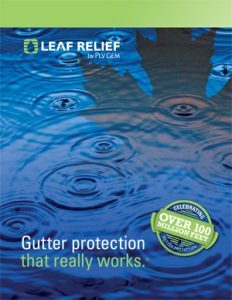 An efficient, well maintained gutter and downspout system plays an important role in protecting your home or building’s foundation, basement or landscape from water damage and erosion. We custom make 5” and 6” seamless gutters on site of high-quality national brand aluminum which will protect your investment and increase the value and appearance of your property. The principal reason aluminum is the material of choice for most seamless applications is that it is the most cost effective will not rust and comes in a wide variety of colors. We have over 20 colors to choose from. 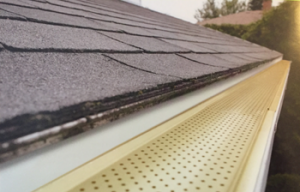 A-1 Seamless Gutter’s skilled employees provide professional service to install or renew your gutter system. Our installers are full-time employees covered by Workers Compensation and liability insurance. Our workmanship is guaranteed for one full year. Our materials are covered by the manufacturers specific warranties. We also install aluminum leaf screen. Leaf Screen greatly reduces maintenance.